Process event customers with ease. 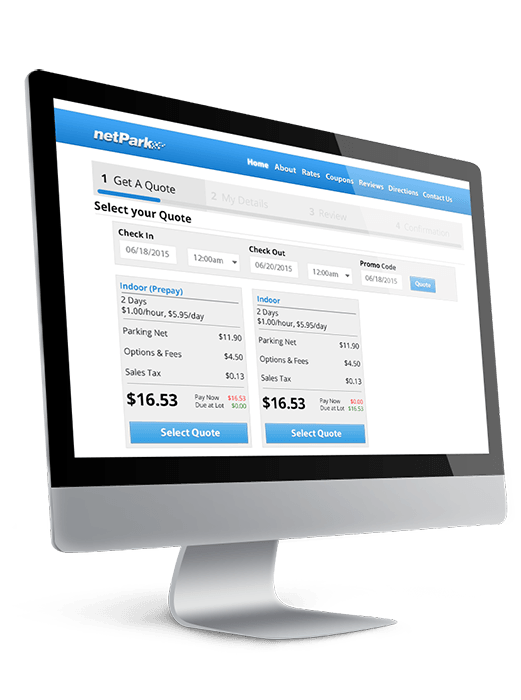 The netPark Reservation Module makes it a breeze for customers to reserve a spot, prepay and simply scan their barcode upon arrival. 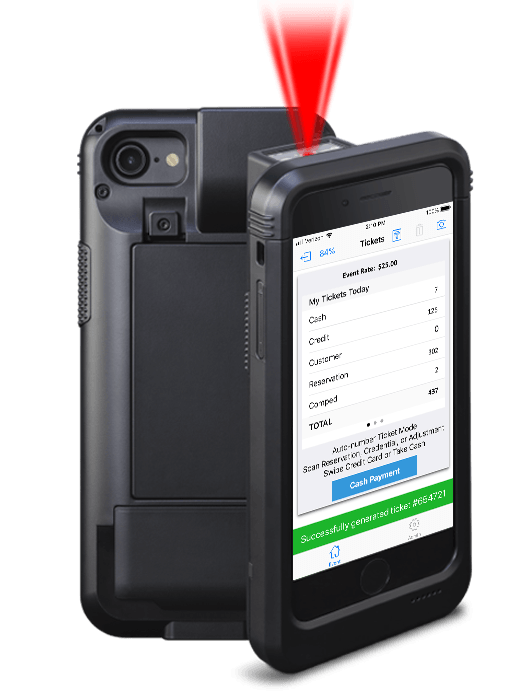 You can also process drive up customers quickly and take a cash or credit card payment. Provide the quickest customer entry with prepaid reservations. Simply scan the QR code from the customers phone and that’s it! All you need is an iPhone with the netPark app downloaded and a mobile sled and that’s it! You can automatically send customer surveys after each parking transaction. You can even send a survey after the initial park and one following the close of the transaction. 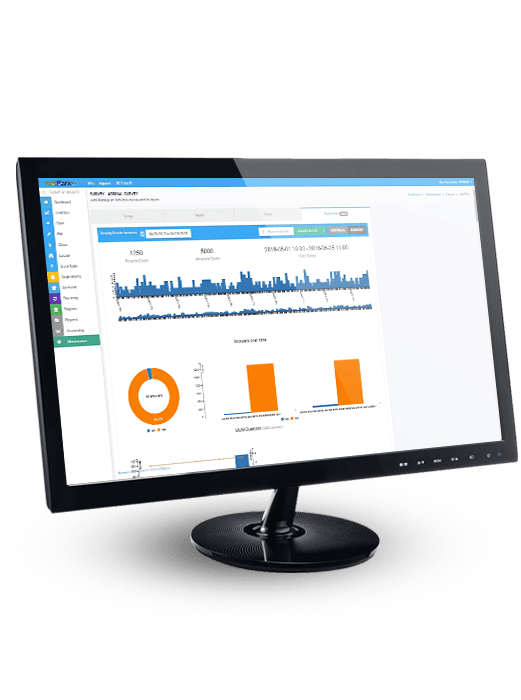 Read for yourself the benefits of implementing netPark technology into your operations. 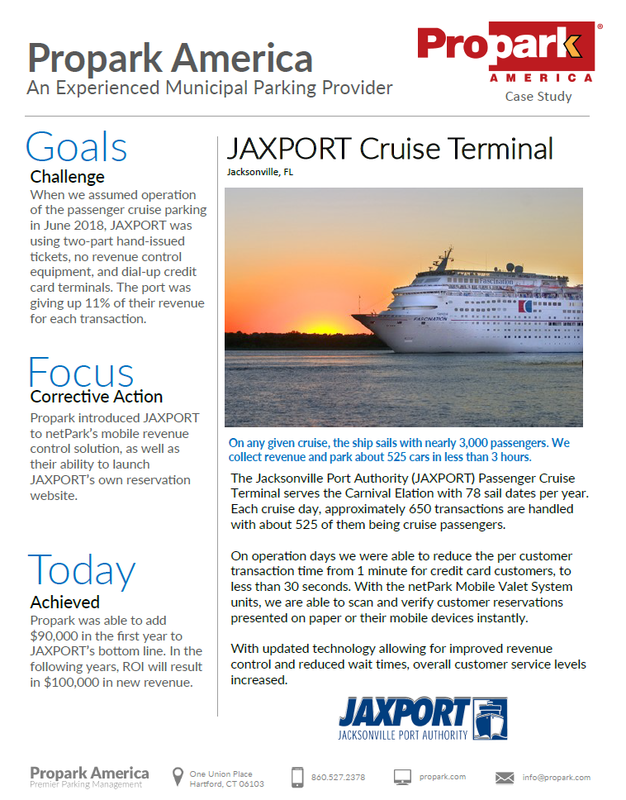 Propark America, a leading provider of parking management services and Jaxport Cruise Terminal worked together to transform their parking operation. On operation days, we were able to reduce the per customer transaction time from 1 minute to less than 30 seconds. With the netPark EVENT System, we were able to scan and verify customer reservations presented on paper or their mobile devices instantly.